Charlie Kaufman Writing Script For THE KNIFE OF NEVER LETTING GO | Birth.Movies.Death. The talented screenwriter is tackling the adaptation of a terrific series. Thanks to the ladies over at our sister site Forever Young Adult, I learned a great bit of news upon waking this morning! 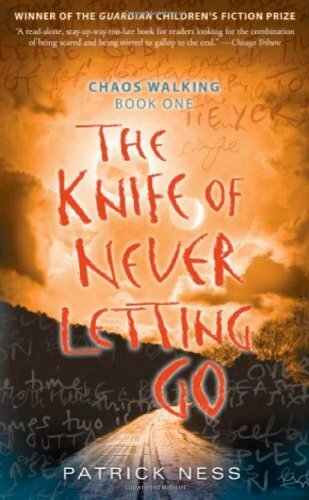 Patrick Ness, the author of the Chaos Walking trilogy, announced that Charlie Kaufman will write the screenplay adaptation of the first book in the series, The Knife of Never Letting Go. As you can tell from his Twitter feed and his blog, Ness is super excited. Chaos Walking is an absolutely brilliant YA series. The trilogy is significantly better than The Hunger Games, and I've always wondered why that series remains the more popular of the two. The Knife of Never Letting Go follows Todd Hewitt, the only boy remaining in the small New World settlement of Prentisstown. The indigenous species of New World, called The Spackle by the settlers, communicates telepathically, and as a result all of the men on the planet can now hear each other's thoughts - a ceaseless aural assault called The Noise. There's a lot of deception and oppression happening in the upper ranks of Prentisstown, and Todd's guardians send him alone on a terrifying journey to escape the fate that awaits him by Mayor Prentiss. So, so many other things happen in this devastating series, but try not to read too much about it. I read the entire trilogy unspoiled, and each new reveal was staggering. The series is beautifully written; Ness has a singular voice and he's the rare YA author whose language is as riveting as his action. And the books are deliciously complex, with alternating narration through the series made further enigmatic by The Noise of the characters intruding through the spoken dialogue. 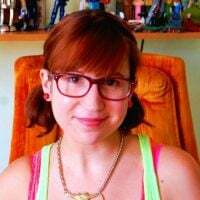 Once it was announced that the series would be adapted to film, I was thrilled because I think there's a lot of cinematic potential inherent in the pages, but I was also stumped as to how they'd navigate the complexity of the story and the dialogue. Clearly, if anyone can do it it's Kaufman. With Adaptation, Being John Malkovich and Eternal Sunshine under his belt, he's proven that complexity is his favorite game. This should be seriously great. Now who should direct? I wonder if Gondry or Jonze are out of the question.